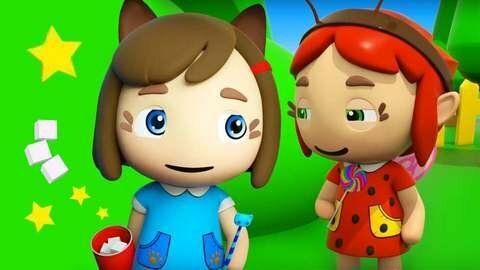 Enjoy watching this music cartoon for girls in HD with Little Fairies and their love for sweet treats! Snack on sugary candy and chocolate in this sweet video. Papa Fairy loves to spoil the fun but you will have to log on to SeeZiskids.com to see full episodes and find out what happens next!